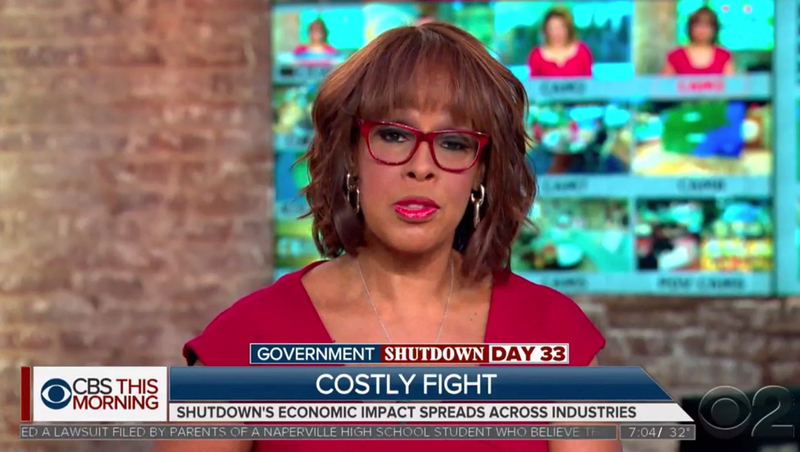 Each day this week, “CBS This Morning,” like other major network newscasts, covered the government shutdown. 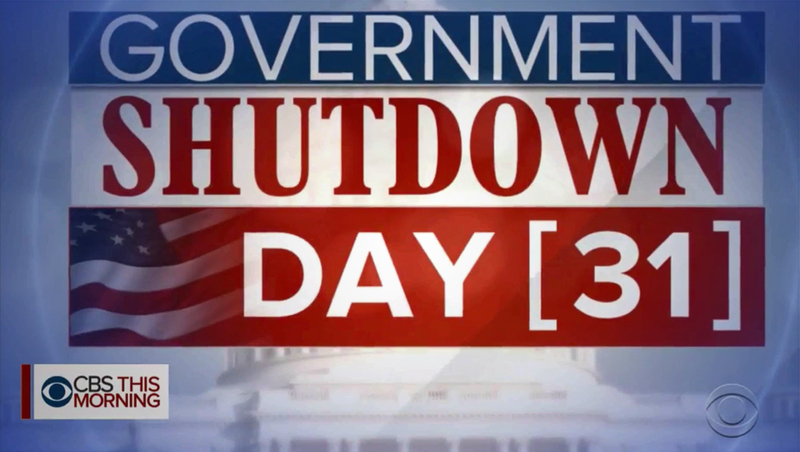 During this week, the network would switch its yellow and white lower thirds to red, white and a dark blue gradient along with a “Government Shutdown Day (Number)” tier added to the top — though the red breaking news look was used Thursday. Most segments were also combined with a mix of video on video or walk and wander segments that used the studio’s multiple video walls and video ribbon to showcase key facts or points about the shutdown, including polling data. The look also featured an animated stinger with a variety of faces and a “count up” number in square brackets that was updated each day, along with the lower third.